Dysphasia research papers examine a disability that causes a disruption in the brain’s ability to formulate speech and language. 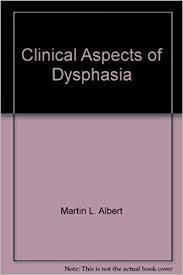 Dysphasia, also known as Aphasia, is a disruption in the brain’s ability to formulate speech and language. Dysphasia is classified as a language disorder. Its effects can range from the difficulty of remembering words to an inability to talk, read, or write. Dysphasia is usually caused by brain damage. Most commonly it is caused by a stroke. Head injury or lesions on the temporal and parietal lobes of the brain can also cause dysphasia. These lesions are almost always on the left hemisphere of the brain. Dysphasia can develop quickly or more slowly depending on the cause. Head injuries and strokes will cause acute dysphasia to set in quickly. Brain tumors, infections, and dementia are slower in their onset. Dysphasia can also come as a symptom during a migraine. In this case speech ability returns after the migraine stops. There are many different symptoms of dysphasia. Some of these include: inability to form words, poor enunciation, inability to read and write, speaking non-sense words, speaking in incomplete sentences, and inability to comprehend language. There are different ways that dysphasia can be diagnosed. People who are suffering from the symptoms of Dysphasia may be screened by a neurologist or can go through extensive testing given by a speech-language pathologist. Many times the effects of acute dysphasia can be reversed after patients go through rehabilitation. It is a slow process and can take years. Almost all suffers require therapy by a speech-language pathologist. Recovery varies from patient to patient based on the cause of the dysphasia, severity, age, health, motivation, and education of the patient. Dysphasia can also lead to other brain diseases like cancer, epilepsy, and Alzheimer’s. There are steps that can be taken to help prevent dysphasia. Some of precautionary steps include eating a healthy diet, consistent exercise, controlling blood pressure, and avoiding the use of alcohol and tobacco. Dyscalculia research papers examine what happens to individuals who suffer with a learning disability that makes it difficult to comprehend mathematics. Dyspraxia research papers look into the difficulties individuals face when living with this Developmental Coordination Disorder and discuss it's identifying characteristics. Paper Masters writes custom research papers on Dysphasia and examine a disability that causes a disruption in the brain’s ability to formulate speech and language.